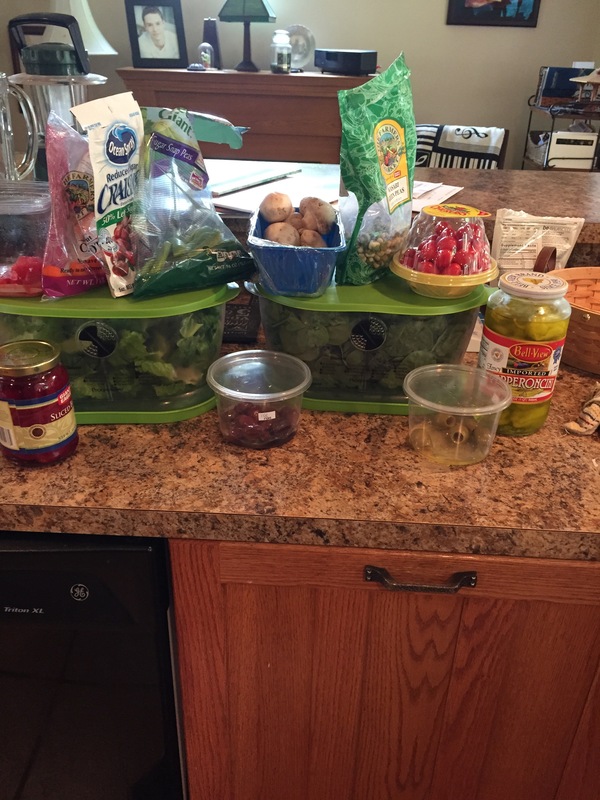 I’ve been making this salad for quite some time. I used to go to a local grocery store that had a great salad bar and make it there. It usually weighed in at 1 1/2 pounds, and at $6.99/pound, I realized that I could make it at home for a lot less. 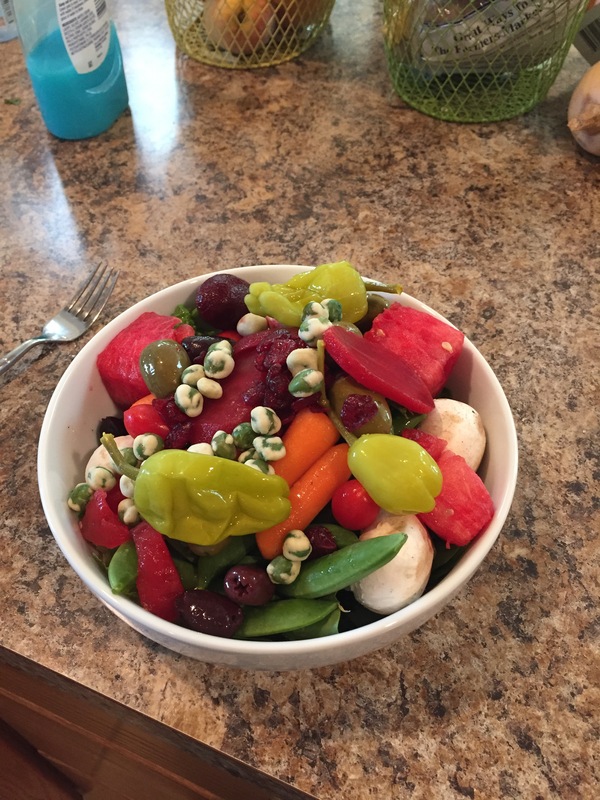 So, here are the ingredients: romaine lettuce, baby spinach, watermelon cubes, baby carrots, sugar snap peas, mushrooms, grape tomatoes, wasabi peas, craisins, beets, calamata olives, green olives, pepperoncini and no salad dressing. There is such a variety of ingredients that I can pick and choose which flavor I want next. This fills me up (you think?) for the afternoon.